Featuring an innovative, all new 11-blade impeller design that achieves vast improvements in airflow/noise efficiency, the SWiF2 120mm series combines outstanding quietness with excellent performance and a unique, exciting colour scheme. This PWM version is perfect for CPU cooling because the fan's RPM will change depending on the heat generated by the CPU. There is also a handy PWM splitter cable that will allow you connect a second PWM fan, all from one PWM motherboard fan header. Bought this for PSU unit. At first glance I did notice a slight noise reduction but then realised that the noise is generated by the turbulence that this fan air flow is making. Did some adjustments and I have to admit that this 1700 rpm fan is really quiet! Very good airflow, low noise. I use two of them with Megahalems and combo is great. 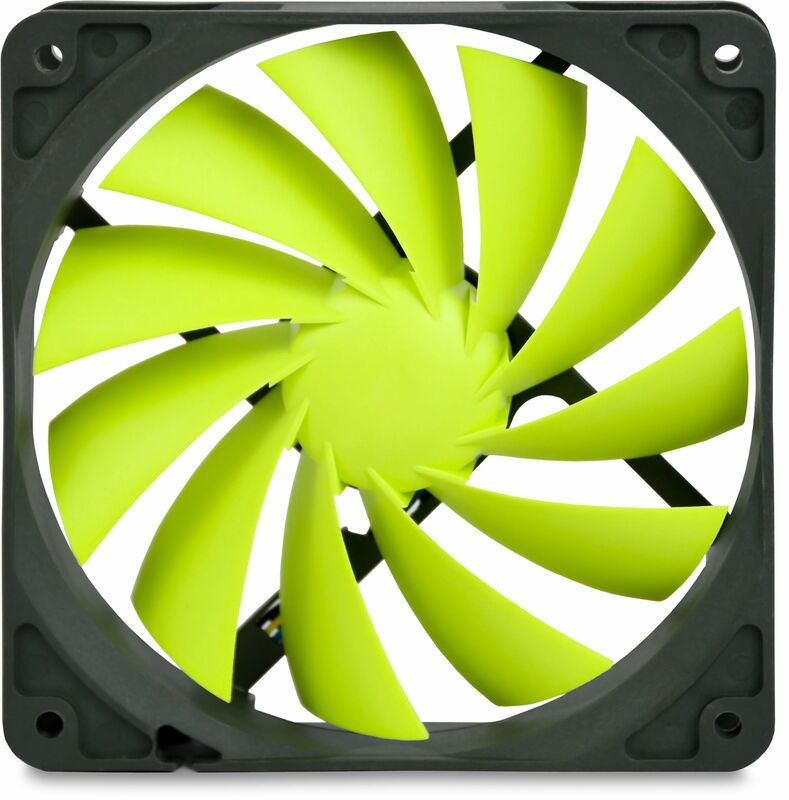 First off, just as we know all 90mm fans are often in fact 92mm and we find that most 120mm fans are actually 119mm, so Coolink seem to have played things by the book and gone for 120mm or maybe eve a shade more. Which means its going to be a tight fit and might need some sanding down for some uses/cases. This, and the coolink range, really push and pull air through well at slow and more importantly quiet speeds. I use a pair of these either side of a water cool rad both pulling in cool air. I then have two of the 80mm Coolink fans drawing hot air out. The rubber grommet type anti vibration alternatives to screws are great but only usable if you can get your hands or small pliers in the case to pull them through the screw holes. Very distinctive colour and fan blades leads and connectors are all great quality for the price. Y lead splitters are also included... very handy for running two fans off one connection. I bought one of these to replace the stock fan on a Titan Fenrir CPU cooler, I am getting 3 degrees lower temps overall!